This detail shows an 8” (nominal) split face concrete masonry (CMU) wall, window sill condition. 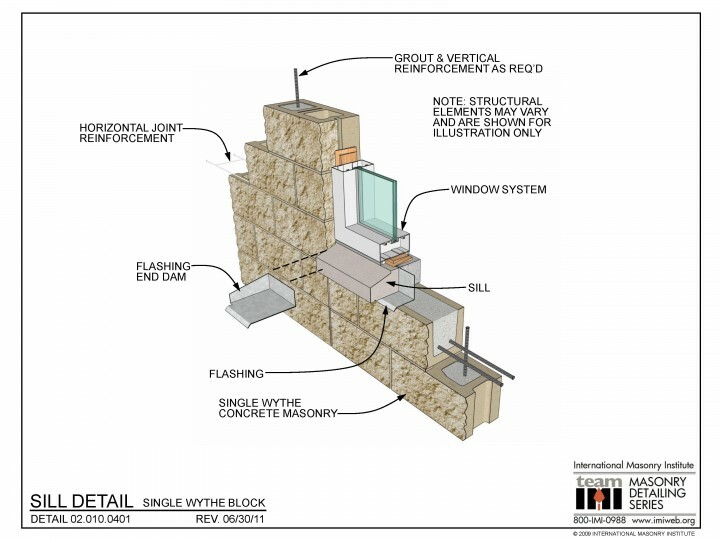 Flashing is provided below the masonry sill, returning vertically at the end termination to form and end dam. Ladder-type horizontal joint reinforcement is placed at 16” o.c. vertically in the wall, or as required.